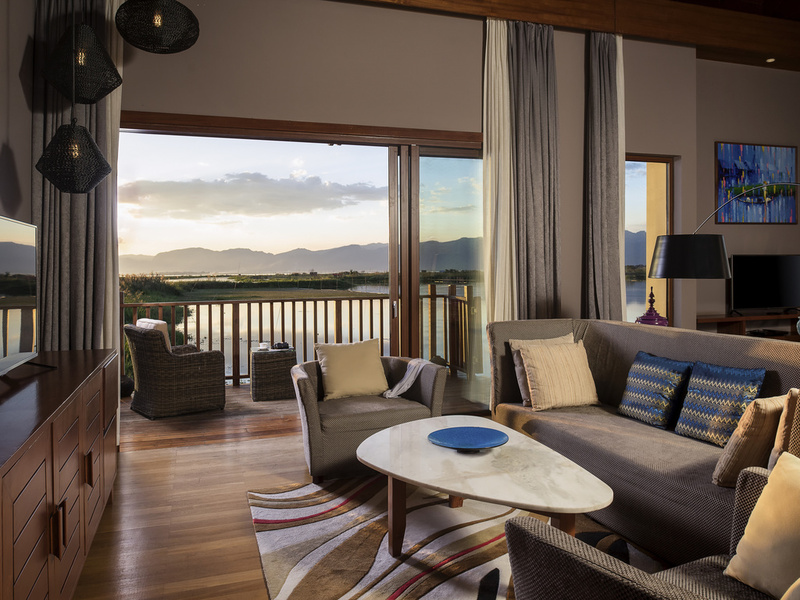 Treat yourself to tranquility at Novotel Inle Lake Myat Min hotel. Choose from an airy suite looking onto the resort's lush gardens, or a spacious villa right on the water. The infinity pool invites you to soak up the views, and the sunset on the lake provides an unforgettable backdrop to your holidays or meetings at Novotel. Inle Lake is located at the heart of the Shan Plateau, one of Myanmar's top destinations. It is a beautiful highland lake, 900 meters above sea level and inhabited by different indigenous tribes. Spacious, contemporary in design, and adaptable, each room is perfect for both business and leisure. Located in the resort's gardens, our Suites offer spectacular views from a private balcony. Set on the lake, each 110 m² (1185 sq. ft.) Villa offers tranquility and total relaxation with separate living area and bedroom. Rooms can accommodate 2 adults and 1 child. Located over Inle Lake, the restaurant offers great views and is the perfect place to catch the sunset. It features an a la carte menu with a walk in wine cellar. The restaurant serves freshly prepared meals with a large selection of Asian and international specialties. Located over Inle Lake, the bar offers great views and is the perfect place to unwind. Open daily from 10AM to 8.30PM, the bar offers a wide range of beverages and light snacks.